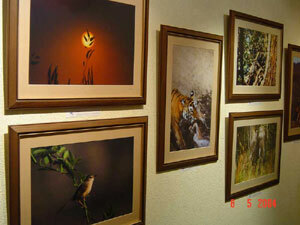 IndianWildlifeClub.com organized "Widscapes" in May 2004 at India Habitat Centre, New Delhi showcasing the work of five photographers. 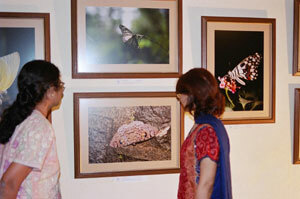 On show were wildlife from Ranthambhore National Park and Corbett National Park along with lyrical landscapes from Leh, Ladakh and also a series on some of the beautiful and rare butterflies and moths from India. 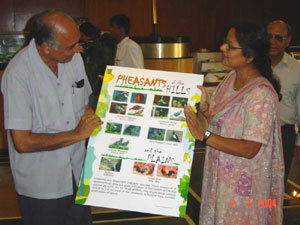 The five day long exhibition saw the release of posters on the mountan pheasants of India, screening of the videos produced by IndianWildlifeclub.com under the banner "WildBytes.tv" and also a soft launch of the website "WildScapes.net". 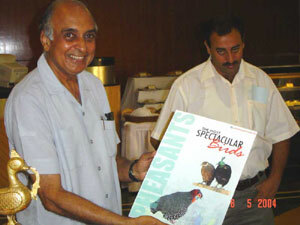 releasing the poster on pheasants of India created by IndianWildlifeClub.com. 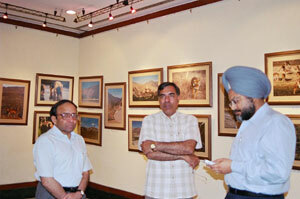 ( extreme right ) took time off to visit the exhibition and also declare open the online portal "Wildscapes.net"
" Some like paintings, some speak to you, animals are always an endearing subject and have been shot with great love which is apparent in the photographs"
"Excellent range of photographs and the Club is doing a great service to profile the photographs via internet. Well done!" " A fascinating journey throgh the lens. The shots, the moods speak for themselves." "The diversity and richness of "wild" is caught very well. It has also been displayed in a pleasing manner." " Wonderful Photos. What a fascinating country with stunning wildlife." " Extremely natural. Thank God for natural is beautiful." 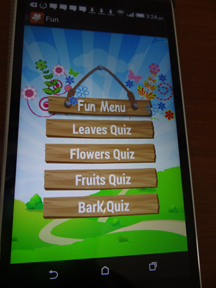 "Each and every photograph proves the intelligence, hardwork. & all of them are extraordinary"
" Delightful pix. Superbly captured brilliant moments. Would be excited to see more"